Well, here we are at the end of the NFL season already. Seventeen weeks are in the books, and the 2016/2017 playoffs are in full swing. 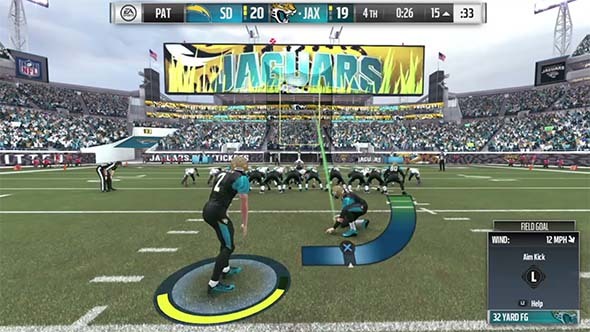 As we prepare to say goodbye to the 2016 NFL season, it's also time to start looking ahead to the future of the Madden video game series. I was really happy to see the practice squad and weekly training added to this year's game. I feel that this allows for more realistic development of players over the long term, and it makes the draft feel more worthwhile since you no longer have to cut your late-round draft picks. Despite being a good thing to have, the practice squad feature has some problems. Being able to see all of a player's ratings make it trivially easy to poach other team's practice squad players. For one thing, determining who to start and who to throw on your practice squad is a pretty trivial process of comparing numbers in a spreadsheet. Heck, you can usually get away with just comparing a single number: their overall ratings. Practice squad poaching is another problem. 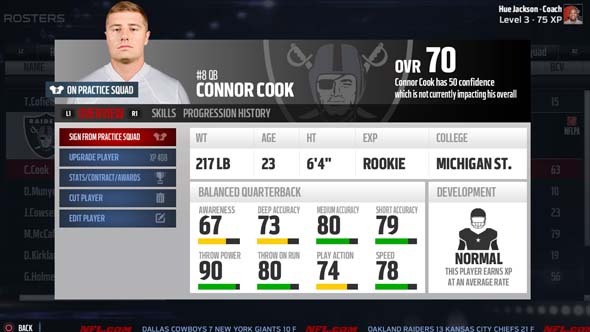 Any player with a rating above 70 is likely to get poached off of your practice squad by another user (even by CPU teams). The reason for both these problems is that it's trivially easy to know how good any given player is - the game shows all their ratings right there in the menu. You don't need to put either of them head-to-head in practice or put them on the field to see how they perform. The ratings dictate performance, and the ratings are publicly available. How can we resolve this problem of practice squad poaching? Well, we can hide rookie ratings until you actually practice with them and play them in games. 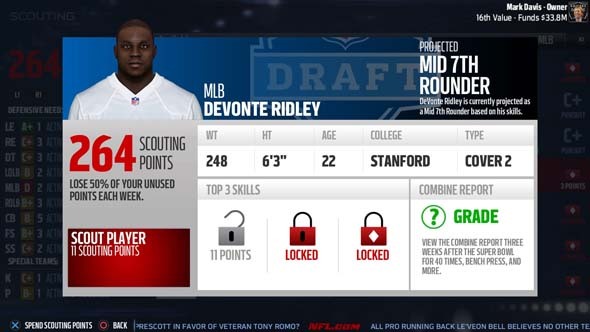 Much like how the true ratings of players in the college draft are hidden until you scout and/or draft them, the game could also hide the true ratings of incoming rookies. This opens the possibility of a training camp feature being a valuable tool for player assessment. I've already proposed a training camp feature in my previous wishlist, but this idea could supplement that. As you put players through your training camp, you'd slowly uncover their true ratings by performing various Skill Trainer drills or other practice activities and scrimmages. Then, once the season begins, you would reveal further ratings through weekly training and by playing the players in actual games. This would also have the effect of adding further value to preseason games, as you'd use those as a proving ground to hopefully uncover any remaining key ratings for your young players. You'd actually have a genuine reason to play them in games because you honestly wouldn't know how well they'd perform. 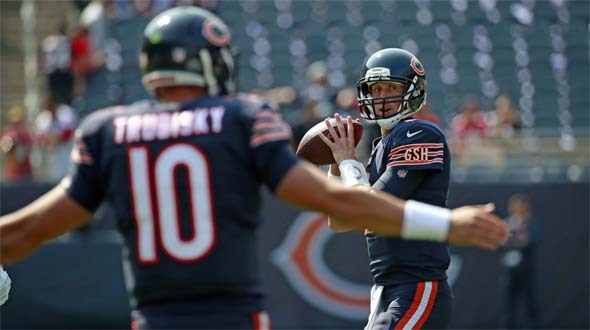 Perhaps the ratings of incoming rookies should remain hidden, even after they are drafted? Any ratings that you unlock would remain hidden to all other teams, so that they won't be able to simply compare overall ratings with their own players. Each team could then maybe have the ability to spend some of their college scouting points on scouting other teams' practice squads looking for players that they could poach. Doing so would gradually unlock some practice squad player ratings. 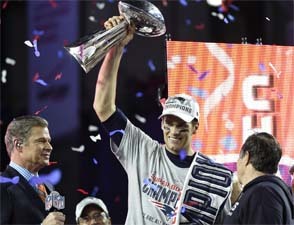 There could also be a set of publicly-known ratings for each player that would be known to all teams in the league. These would be unlocked as the given player plays in games, and playing in nationally-televised games (such as Monday night) could maybe even accelerate the unlocking of ratings. So players who have been in the league for a long time, and who have lots of public game film would be more of a known quantity. 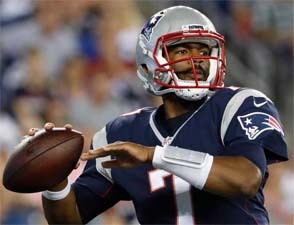 We would all know how good Tom Brady is, but we wouldn't necessarily know how good Jacoby Brissett might be until he actually plays some games. The entire NFL knows that Tom Brady is a superstar, but not as many people know if Jacoby Brissett is any good.